AN GIANG (VNS)– The Cuu Long (Mekong) Delta province of An Giang is purchasing paddy equivalent to 223,650 tonnes of milled rice for stockpiling from March 15 to April 30. 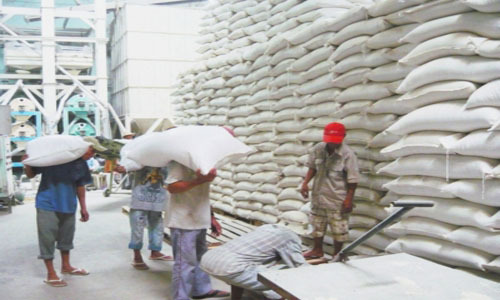 Deputy Director of the provincial Industry and Trade Department Nguyen Thi Minh Kieu stated that 146,000 tonnes will be bought by 16 local businesses, and the remaining will be bought by 16 others from outside the province who have registered to buy paddy from the local farmers. They are all members of the Viet Nam Food Association. The prices are applied at the time the paddy is sold in order to stabilise the market and ensure that the interest of farmers in the locality and the Cuu Long (Mekong) Delta region are taken care of, Kieu claimed.